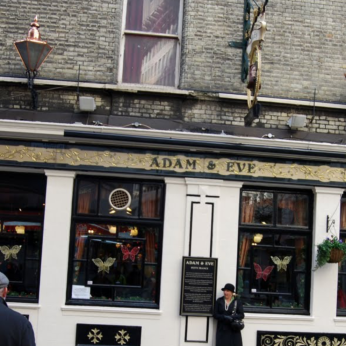 The Adam & Eve in Westminster dates back to the 1700s and is one of the oldest pubs in the area. The pub is situated just short walk away from Westminster Abbey so why not pop in for a drink after visiting one of London's finest examples of Gothic architecture. Today, the Adam and Eve's historical pedigree is made evident, as it proudly boasts traditional wooden floors, high ceilings and extensive glasswork. We have a modest meeting room which can seat about 10 - 12 persons for a meeting. It does not have a door and opens on to the main part of the pub. It is available for meetings from 10am until mid-day with hot drinks and from mid-day onwards food can be ordered as well as our full drinks menu. Please note The Adam & Eve pub is closed on bank holidays.